Off-Road Styling, But Is It Off-Road Capable? 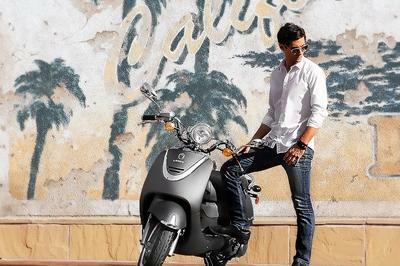 Built by SYM and rebranded for Lance, the Cabo scooter line is all about aggressive sport styling and fun. Even though it’s built like an off-road ride, Lance insists the Cabo is not intended to be ridden off-road. Really? What about the action stills showing the Cabo in the dirt? Even in the "official Lance Cabo video", the rider does a little flat-tracking off-road. So is it a street-only scooter or does the promotional material lie? I really like the Cabo scooters and I was a little disheartened by the repeated statements that it isn’t intended for off-road. Let’s take a look at this off-road scooter that you’re not supposed to take off road. Continue reading for my review of the Lance Cabo. Very off-road styling, but with all the usual scooter amenities. First, let’s look at the blahblahblah. Storage under the seat holds a half helmet — that could be bigger. Weight-wise, the compartment holds up to 11 pounds and it isn’t watertight. Caught in the rain, you’ll be okay; but you’ll want to empty the storage compartment before you wash the scooter. The compartment is right next to the engine, so keep in mind that anything you put in there while you ride is going to get warm. The Cabo has two helmet hooks, a nice feature if you usually take a friend. The instrument cluster is easy to read and includes a speedometer, odometer, tachometer, fuel gauge, high beam and turn signal indicators, and an oil-life indicator to alert you when it’s time to change the oil. With a seat height of 31 inches, it’s easy enough to find the ground even if you have to slide forward off the seat to do it. And speaking of the seat, the red accent stitching gives it a stylish tailored look. For security’s sake, there’s a kill switch if you plan to leave the scooter parked unattended. It’s always nice to come back to where you parked it and have your ride still be there. The Cabo has 12-inch street knobbies and very adequate ground clearance. For Lance, SYM kept to certain aspects of the traditional scooter look with the full step-through and flat deck, a feature I always like, and not just for the extra little bit of cargo space, either. A tubular steel frame supports the scoot, another point in favor of this ride as I don’t really care for monocoque, or uni-body, “stressed-skin” arrangements, too easy to total in a minor fender bender. A swing-mount system that uses the drivetrain as a stressed member to mount the rear tire completes the bone structure. For a bike that “is not intended for off-road use,” according to the factory, the builders sure did mount some unusual tires. These 12-inch hoops are pure-D street knobbies, and if they aren’t meant for off-road work, I’ll eat my hat. Hydraulic front forks and a rear monoshock lift the Cabo up for 8.1 inches of ground clearance, the highest clearance in the Lance lineup. Ample ground clearance is an off-road feature, yeah? A single disc brake controls the front wheel, with a twin-pot caliper to bind the really sporty looking, 190 mm, wave-cut disc. 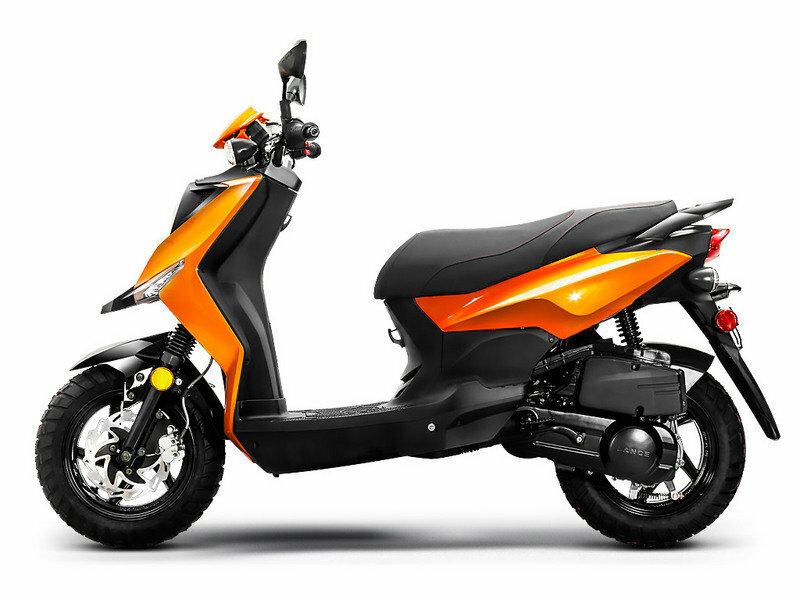 As with nearly every other scooter the world over, the Cabo range runs with a mechanical drum brake on the rear wheel, and though it’s a bit small at only 130 mm, it is sufficient to control the 240 pound mass, plus rider. 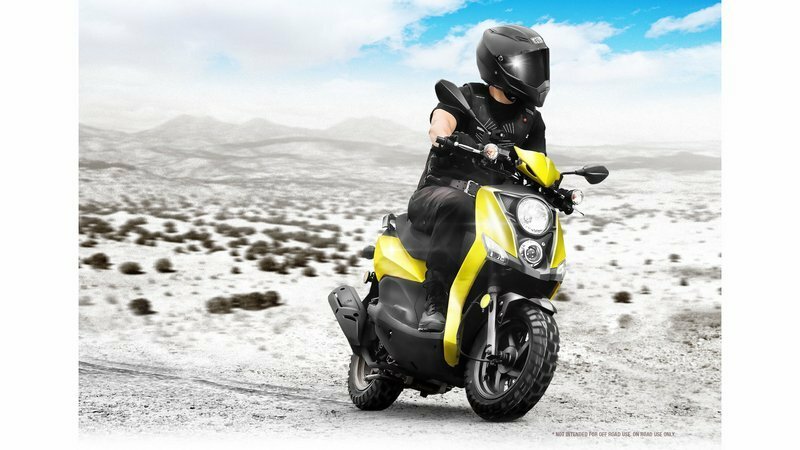 No ABS or linked brakes, but that is a plus for a scooter (not) meant for off-road work, how else could you pull sliding turns and other stunts with it? The Cabo delivers very commuter-friendly fuel economy, but range is limited by fuel capacity. Though the chassis are identical, apart from the available colors, the drivetrain necessarily sees some differences between the models. 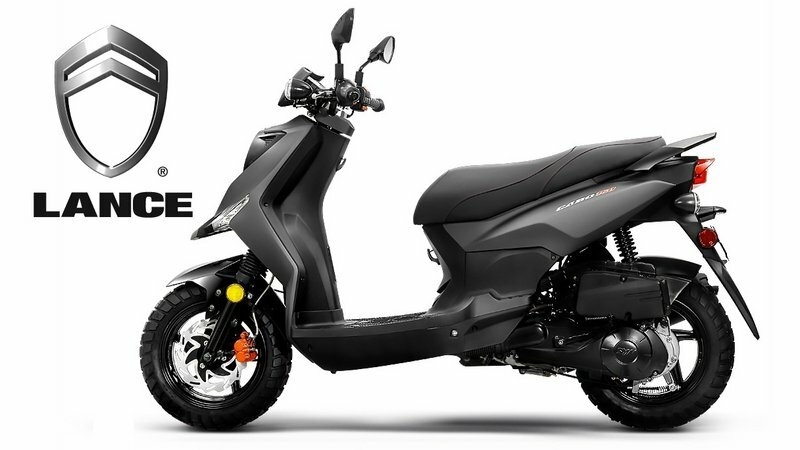 Actual engine displacements are close to their respective model names at 49 cc, 124 cc, and the discontinued-for-2018 151 cc, and all three mills come with SYM’s ceramic cylinder coating that is supposed to reduce friction and increase durability. Unfortunately it precludes the possibility of boring out the cylinder when it finally does wear out, but that’s a minor point, and easy enough to just buy a new jug. All three four-stroke plants come with air cooling, capacitor discharge ignition (CDI), as well as a kick-starter as a little bonus. They all run the typical continuously variable transmission (CVT) for easy, twist and go operation sans cumbersome clutching and shifting operations. Now for the relevant metrics. The 50 mill produces 1.9 horsepower and 1.61 pound-feet of grunt, with a governed top speed of 30 mph, while the 125 cranks out 8.38 horsepower and 6.14 pound-feet for 59 mph, all at 7,500 rpm and 6,500 rpm, respectively. As you might expect, the 150 brings out the big guns (ha ha!) with 10.3 ponies at 7,500 rpm, and 7.96 pounds of grunt that comes on a bit earlier at 6,000 rpm, and a top speed of 65 mph. For 2018, the 150 was replaced with the 200i. Mileage is important, especially with such a small — 1.37-gallon — fuel tank, and the numbers fall out according to engine size. 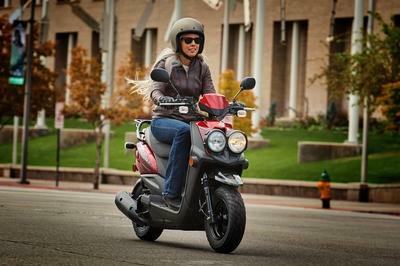 The 150 gives up 87 mpg, while the 125 bumps that a bit up to 90 mpg, but the 50 is the clear winner at 117 mpg. That’s what I like to call “around the world on three tablespoons of gas” kind of mileage. Mileage and top speed are going to depend a lot of your weight and where you’re riding, but you get the picture. MSRP for 2018 shakes out similar to last year and with a range of color choices. MSRP on the 2018 Cabo 50 is $1,699 and comes in your choice of Arctic White, Midnight Black, Chili Red, Burnt Orange, or Admiral Blue. The Cabo 125 comes in the same colors for $1,999. 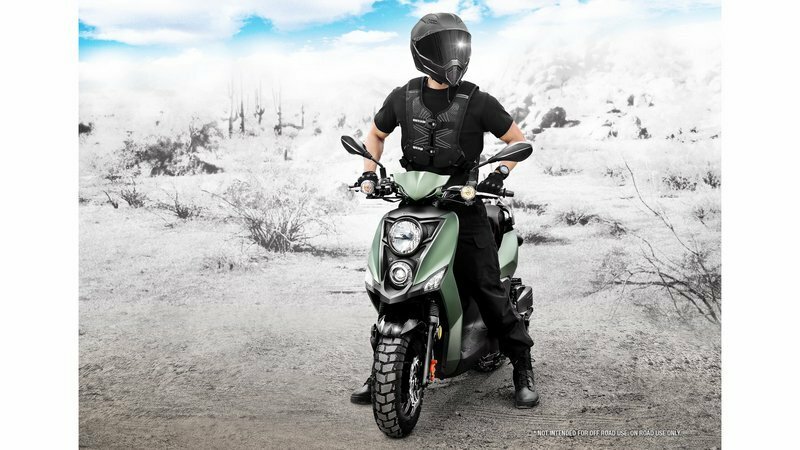 The Cabo 150 ran $2,299 last year and was offered in a selection of matte colors: Matte White, Matte Black, Matte Green or Matte Red. The Cabos are covered by a 24-month limited warranty. Lance wins with better fuel economy and a lower price at the check-out counter. 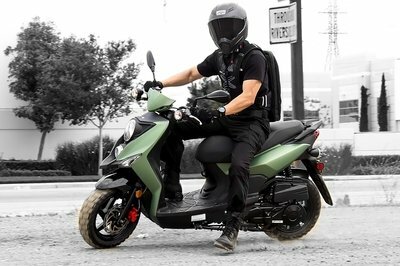 Since the Cabo is an undercover dual-sport scooter, I decided to see how it stacked up against an overtly off-road ride, so I went with the Super 8 150X from KYMCO. 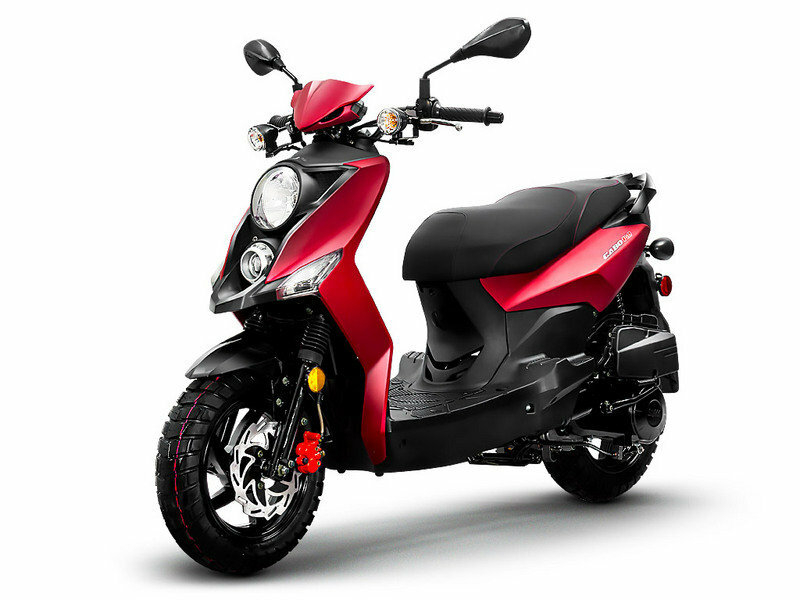 Both scoots run on 12-inch, multi-surface tires that have generous flats for on-road work and deep grooves for softer surfaces. While 14s, or even 16s, would be better for off-road riding, these are big enough, and at least they aren’t 10s. When looking at the Cabo 150, the engines match up exactly at 151 cc, and both manufacturers use electric starters with a kicker backup. 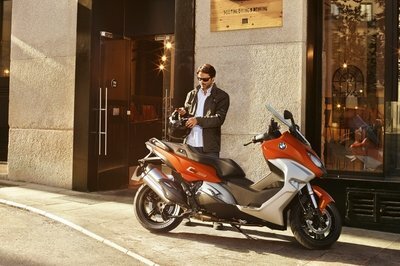 Lance comes out ahead on mileage at 87 mpg, a significant margin over the 57 mpg from the KYMCO ride. Power numbers, however, remain nearly identical. Prices line up exactly at $2,299, so for the money, I’d say the mileage on the Cabo carries the day. Unless you are really into camo, them the KYMCO camouflage paint scheme may tipple you over to their side. Of course, it’s okay to take the Super 8 off-road, so Lance may be the nervous Nelly telling you not to do that with the Cabo. Really, are we still buying that? "Who puts knobbies on a street bike and lifts the chassis up for that kind of ground clearance if you aren’t heading for the dirt? I mean really. I like the Cabo out of the whole Lance lineup, but they can just bite me with that whole ’not intended for off-road’ crap." 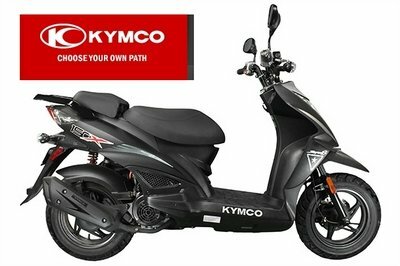 See our review of the KYMCO Super 8->art172047].